The group Times 4 is Lincoln Adler's project. Friends of smooth jazz will certainly know Lincoln Adler by his albums The Dream and Short Stories. But Lincoln's heart beats for contemporary jazz: “My previous projects focused on a side of music I definitely love, but really gave off no sense of my jazz roots,” he says. “I’ve always loved improvisation, soloing in the jazz context, even when I was playing the more pop oriented tunes. With so many musical choices out there, the challenge is to get people’s attention with something unique and different from anything else. Going more commercial on the previous efforts earned me some respect, but I didn’t feel I was always doing what came naturally." With the foundation of his own label "Groove Tonic Media" Lincoln has the opportunity to fulfill his ideas. As a result he released his solo album Are You In There? (2004) and with his group Times 4 the album Seductivity (2005). 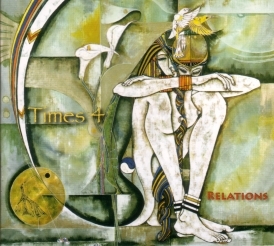 Relations (2007) is the second album of the group and following Lincoln's statement a testimonial of contemporary jazz. Times 4 is a live band which is frequently performing in the San Francisco area. So it's naturally that the band developed their sound over the last four years with regular performance at clubs and other events. The new album is inspired by the spontaneous interaction between group and audience and this spirit is to hear on every track of the album. Contemporary jazz fans love improvisation and spontaneity. Lincoln Adler's impetus is to incorporate this spirit in his new work. MO is the nickname of drummer Maurice Miles. He gave the idea for this tune with a driving drum beat in 5/4. Lincoln and the band created around this beat the first song of the album. The tune has a dynamic melody line on which Lincoln expands a powerful sax solo. Mojito is a cocktail of white rum, lime, fresh mince, sugar and soda. Mojitos were the second favorite drink (after Daiquiris) of the writer Ernest Hemingway. This "muddling" of the Mojito is similar to the mélange of styles of this tune. Lincoln lures the audience with a sultry melody into a freeform jazz section. While sugar sweetens rum Lincoln makes jazz accessible. The word Thickness in a figurative sense is often used for richness of life. Kevin Lofton starts the tune with a funky bass line. This triggered bass performance is the leading motif embellished by Greg Sankovich on keys and Lincoln Adler on sax. There are many dynamic exchanges on this tune. I especially like that Lincoln avoids the usual and often copied platitudes of sax play. The tune Cell Phone has a curious source. "Originally the tune based on a freestyle jam we improvised at a performance. The song came together immediately and the band knew it had to be documented, the only recording device available was a lo-fi cell phone and it's limited 10 sec memory, " Lincoln reports. Enterlude is a short tune anew inspired by Kevin's bass line. This is pure interaction which makes a tune vivid. Lincoln pulls all the stops of his rich experience as longtime sax player. Listeners of smooth jazz will discover the romantic tune Full Moon. But after the first two minutes the character of the tune is interrupted by a jazz interlude. Minutes later the unexpected journey continues with an epic soundscape. After a short return to the sultry melody we find ourselves again in between the jazz genre. "The full moon is also a key theme in our CD's cover art, entitled "Dreaming", by our most talented artist friend Lu Hong. It represents the fertility of imagination, cycles of life, and thickness of relations," Lincoln comments. The title track Relations incorporates the spirit of the group, interaction between bass, sax, keys and drums. A further virtue of the group is the dynamic of the songs and the respect between all musicians. Every member of the group gets his space to expand his talent and the possibilties of his instrument. Central Park is another song which was created during one of the live improvisations. Inspired by the crowd, the mood of the evening and other elements the song is grown. An extensive solo of keyboardist Greg Sankovich, a further solo by Lincoln and soon the tune breaks the time line of 9 minutes. Hericane moves between 5/4 meter and 4/4 meter. That makes the tune a bit difficile to play. No problem for these excellent musicians. Exitlude is a reprise of Enterlude repeating the previous theme with new variations of keyboard and sax. Relations evolves the idea of Seductivity to a new higher level. Lincoln Adler reconciles smooth and contemporary jazz by combining the best of both genres.